Stunning French Duck Salami is here! Just arrived and it's amazing. Rich duck with notes of Black Pepper and Red Wine. We love our charcuterie - Stop by for a taste and let us know what you like. Please ﻿Contact Us ﻿with any questions! 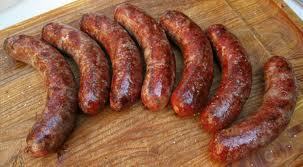 All of our sausages are shelf stable and ship wonderfully to all parts of the world.